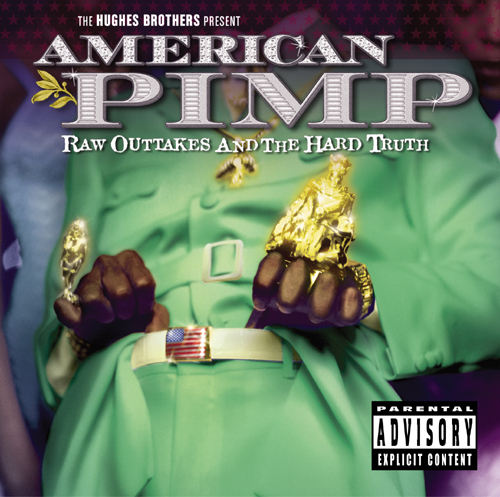 American Pimp, the feature documentary by the Hughes Bros. that earned a Sundance Film Festival Grand Jury nomination, explored the fascinating subculture of street pimps. Released in 1999 to a limited theatrical run and aired repeatedly on HBO, its popularity was fueled by massive word of mouth, tapping directly into the voyeuristic viewing public's buying habits - and selling a whopping 100,000 copies. Now available for the first time is the highly-anticipated soundtrack from the film. This soundtrack of songs taken from and inspired by the original film has been a requested release for years. A bonus CD of unreleased film footage including extended interviews with Snoop Dogg and the other ghetto-fabulous characters, such as veteran pimps Rosebudd, Payroll and Ken Red, plus newcomers Charm, C-Note and T-Mack is included in the package. CD packed with a second disc, the outtakes DVD! CD packed with a second disc, the outtakes DVD!